Anonymous, 23 Mar 2017I have this problem. "The USIM CARD is required to download USIM. Start the registration. " ... moreI have same problem with you now. Have u solve the problem yet? Would you like tell me how? Dave, 25 Apr 2018Shame it is not available in the UK yet! What are samsung playing at? Apple have now been allo... moreI'm not sure where you are looking as its been available here for ages. ie more than a year, just do a google search. Shame it is not available in the UK yet! What are samsung playing at? 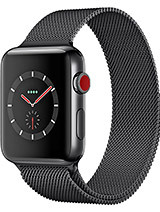 Apple have now been allowing you to call and text off their watch without connection to a phone for 2 series of their watches. Samsung still do not have an offering for this. I thought they were leaders in the market. Gutted as I just moved over to Samsung thinking it was the bees knees. Looks like I will be heading back to iPhone before long as no news about this model allowing for calls and texts coming to the UK anytime soon! I like this watch a lot. I recommend It for men, though, because it looks big on women's hand. Be low are some pluses of this watch. I found only one minus in this watch. The watch is waterproof. I took a shower with it and my watch works well. It keeps charge for a long time, around two days. This is a lot for a smart watch. 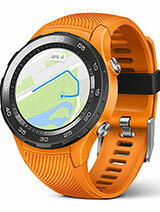 The watch has a lot of functions, such as internet, music playback, timekeeping, Samsung health. The only downside is a high price. You really must get this watch. You will love it! Anonymous, 28 Apr 2017Yes, Steve Jobs wouldn't, R.I.P.any luck with this? Does it work with iphone 6?? If yes!! Are functions working or not?! 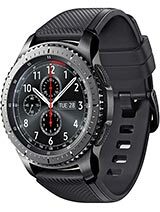 I'm owned gear s3 frontier about 1 month..
Its rotating bezel not smooth.. In spec,it has built in gps but in fact,thats not its gps..the watch require gps phone to enable..when its in stand alone mode,its cannot lock gps signal at all..a big liar..
Bizkitz, 24 Sep 2017It works with all android handset and can even pair with apple devices. I actually tried that. how do you bind it to an iPhone? or an LG phone for example? 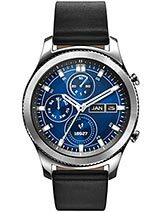 Its OK so far but i just ordered the I4 Air Smart Watch Phone - 1 IMEI, 3G, 5MP Camera, WiFi, Calls, Messages, 16GB watch and to me its better. AnonD-13060, 05 Aug 2017Is this watch compatible with all Android phones or only usable in Samsung smartphones ? It works with all android handset and can even pair with apple devices. AnonD-13060, 05 Aug 2017Is this watch compatible with all Android phones or only usable in Samsung smartphones ? As far as I'm aware..it is Works on all android phones. Needs a built-in laser pointer. 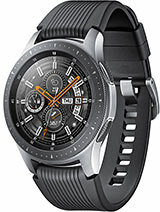 Is this watch compatible with all Android phones or only usable in Samsung smartphones ? LTE version is almost banned in most countries, only American Sims work like iPad works. It does not work like any GSM sim. Forget LTE. Does it work in Srilanka? If yes, with what carrier to get an ESim? Anonymous, 20 Mar 2017At least they are outselling everyone including Apple! They offer free software management to ... moreYes, Steve Jobs wouldn't, R.I.P. 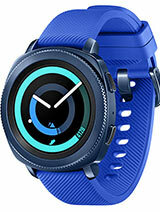 Total of 151 user reviews and opinions for Samsung Gear S3 frontier LTE.